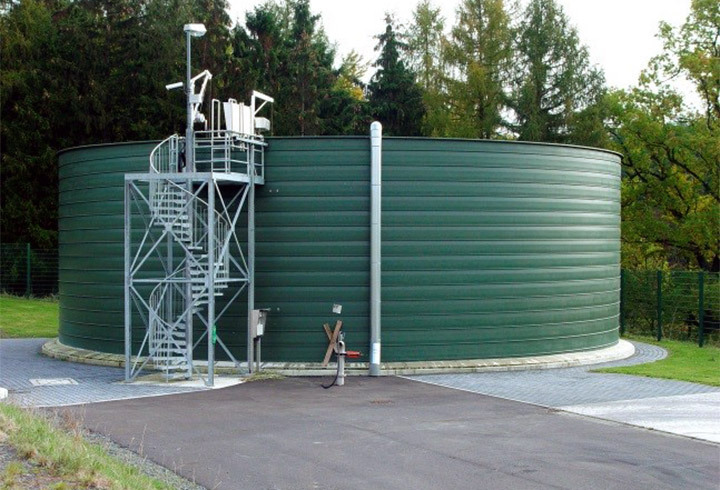 With the Lipp gas holder Lipp offers a tried and tested system solution which is complete in itself, for unpressurised storage of biogas, sewage gas and landfill gas. 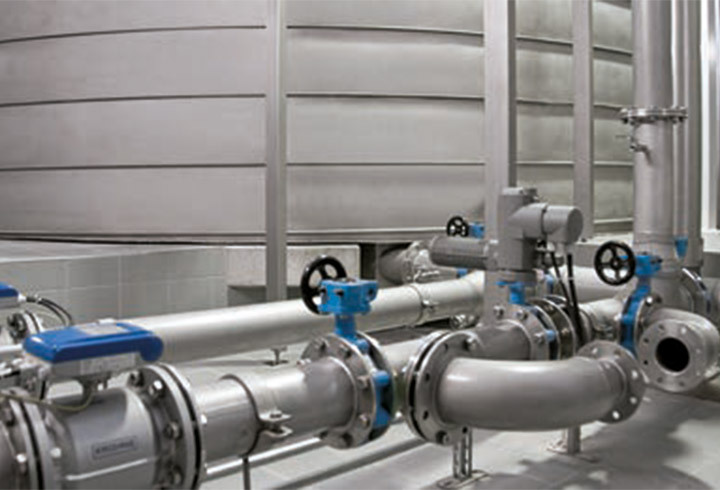 This solution is chiefly used for municipal waste water treatment plants and landfills. Due to its design, as well as high functional and operational safety, it also ensures low maintenance costs over a very long service life. This is mainly because the sensitive gas holder is protected against UV radiation and other environmental influences by a steel container manufactured with the Lipp dual seam system. Furthermore, this construction method allows an exact leak test and highly accurate metrological monitoring of the gas fill level. Both aspects are essential for safe and efficient plant operation. 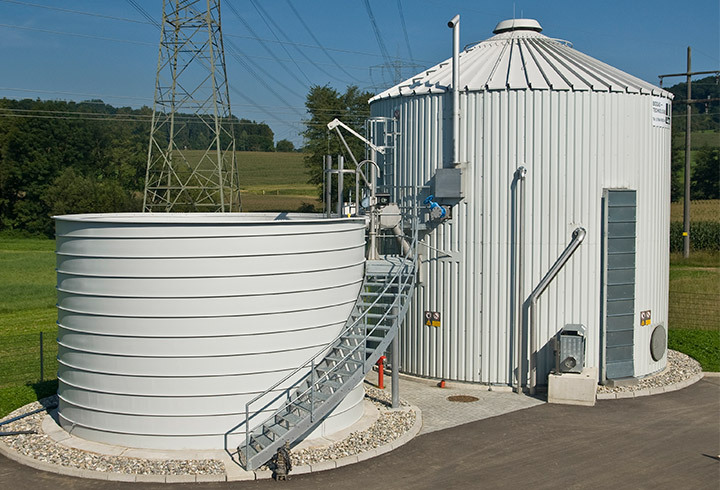 With certification according to § 19 WHG for Lipp GmbH and DVGW approval of the gas storage tank, further conditions are met for use in municipal waste water treatment plants. 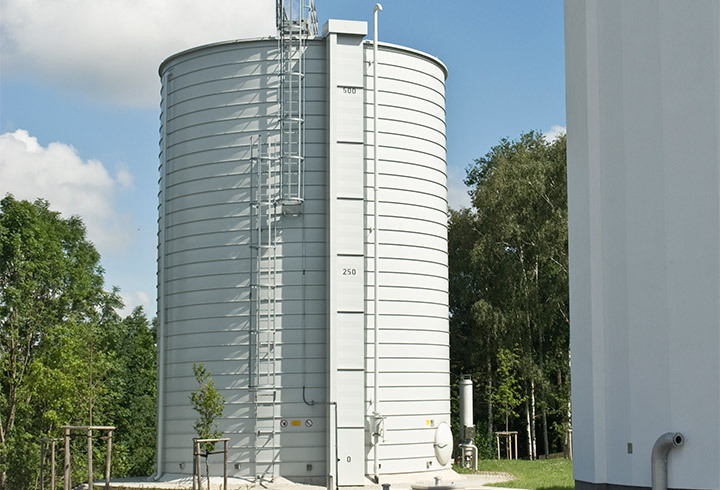 Gas storage systems by Lipp have been successfully installed in more than 300 projects in Germany and worldwide. The gas storage capacity extends from 30 to 5,000 m³. The gas-resistant PVC gas holder is protected by a galvanised steel cylinder. The self-supporting roof is made of 1.4301 high-grade stainless steel. The Lipp gas holder is offered as a complete system, including sensors and built-in parts as well as steel construction, and can be easily integrated into an existing system. The main area of application of the Lipp gas holder is municipal waste water treatment plants and landfills which want to balance out fluctuations in gas production and at the same time need a buffer store for possible downtimes. A further gas holder may also be of interest for direct marketing of biogas, where feed-in at certain times is necessary. The Lipp gas holder is especially attractive when considering the fact that electricity cannot be stored. But (bio) gas, which is used for power generation, can certainly be stored and used at certain times as needed or depending on remuneration. 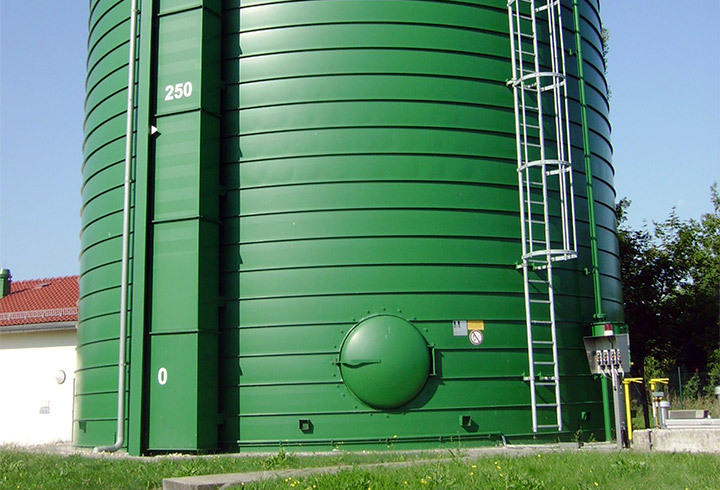 Container and system solutions for the municipal drinking water supply.